As we get older our skin needs as much love as we can give it. Hormonal changes due to the ageing process can also affect the skin so it’s important to adapt our skincare to meet these changes. 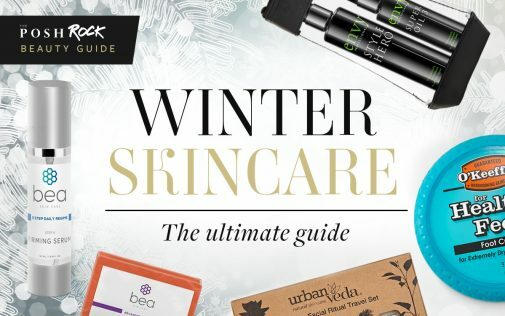 The good news is there are so many skincare options available, almost all offering anti-ageing ingredients which also protect, nourish and hydrate a more mature skin. The trick is to find what works for you. 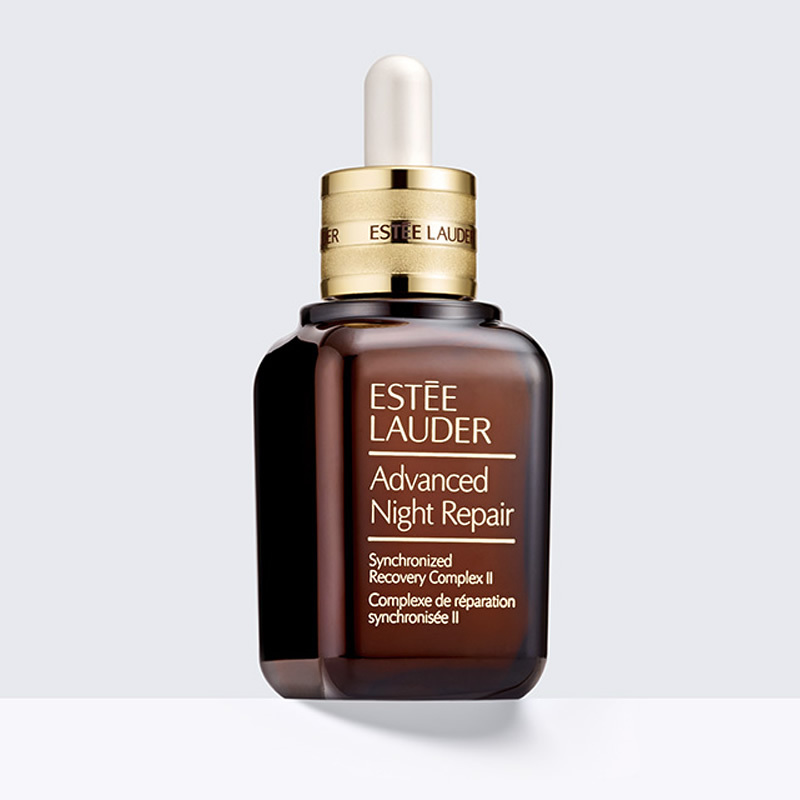 Estee Lauder – Advanced Night Repair – I swear by this and have used it for years – it always makes my skin feel smoother and rested in the morning. The texture is great; it’s like a drink for the skin on my face and neck. 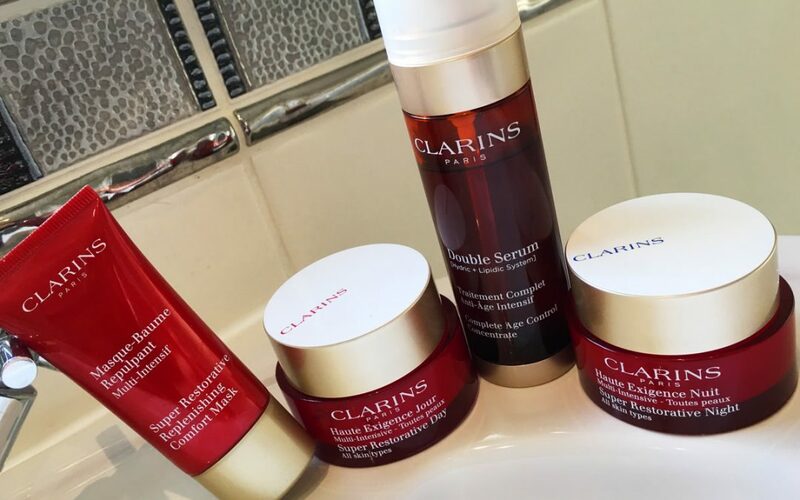 Clarins – Super Restorative Night Cream This night cream gives me excellent results and is a real luxury at the end of the day. 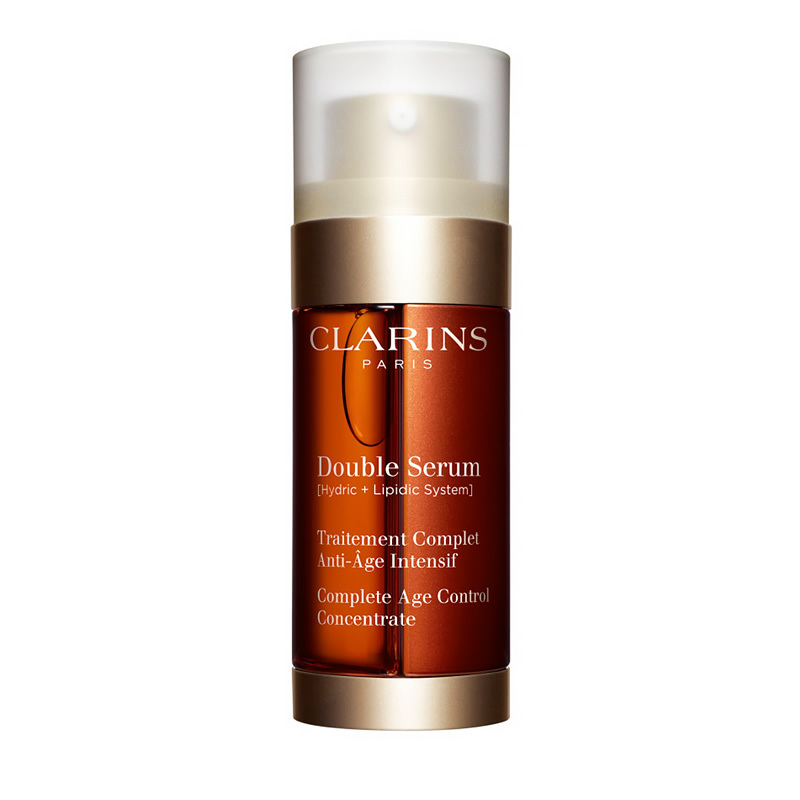 Clarins – Double Serum – Complete Age Control. A really light and easily absorbed serum. Lines seem more refined and my skin feels much smoother after using this product. 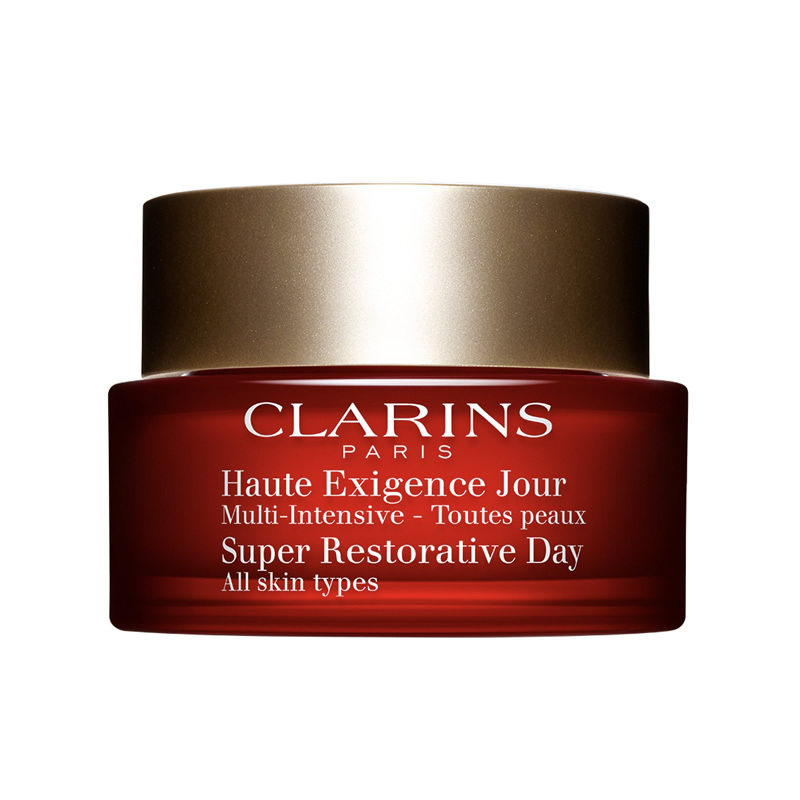 Clarins – Super Restorative Day Cream. I use this after the Daily Serum. My skin feels hydrated and lifted. It smells great too. 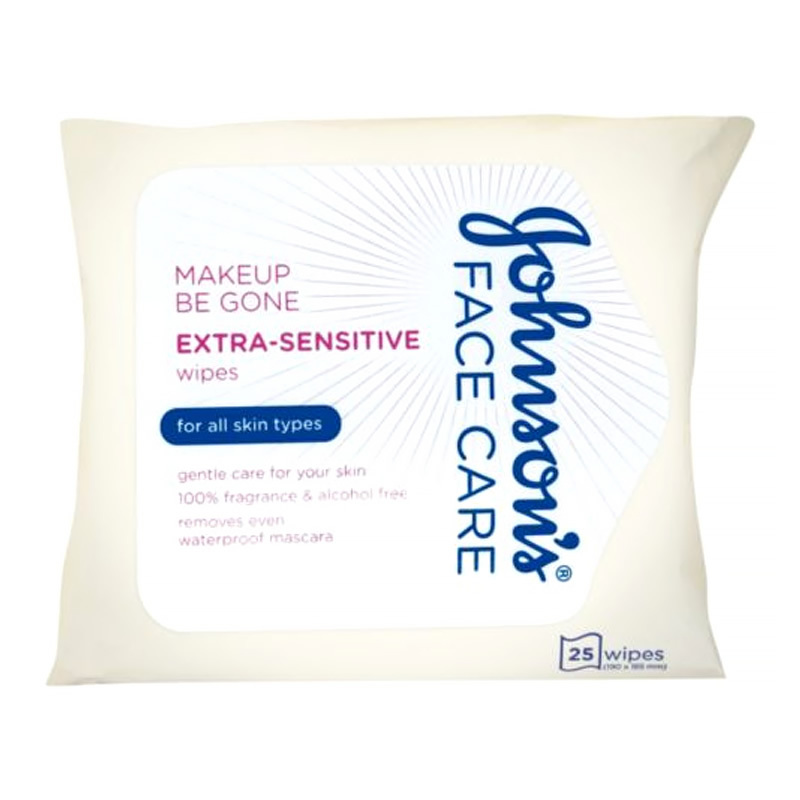 Johnsons – Makeup be gone Extra-sensitive wipes. My skin can be quite sensitive, so these wipes are great for removing even heavy make-up. 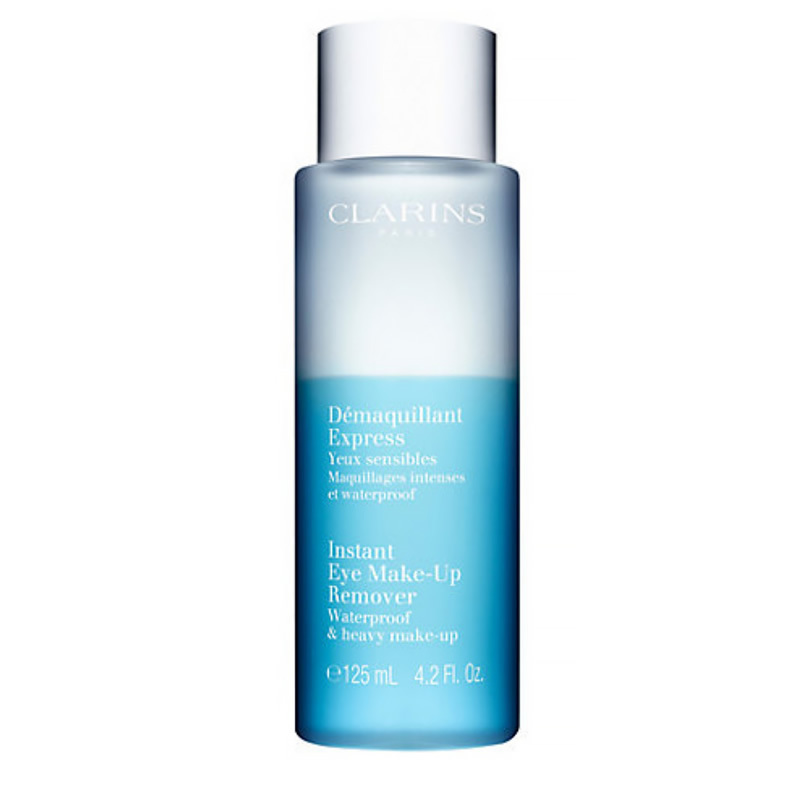 Clarins – Instant Eye Make-Up Remover waterproof & heavy make-up. Again, I’ve used this for years. It’s the only product I’ve found that dissolves waterproof mascara without stinging my eyes. I love it! 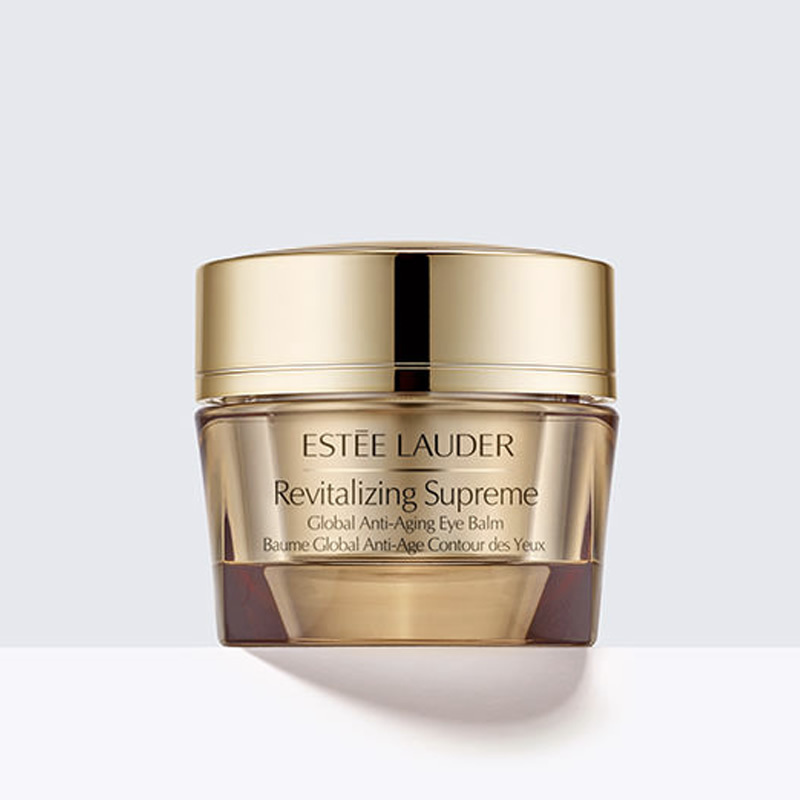 Estee Lauder – Revitalizing Supreme – Global Anti-Ageing Eye Balm. This is a new product for me so the jury’s still out. I can’t say I’m seeing great results yet, but I’m always willing to give things a go, so watch this space. 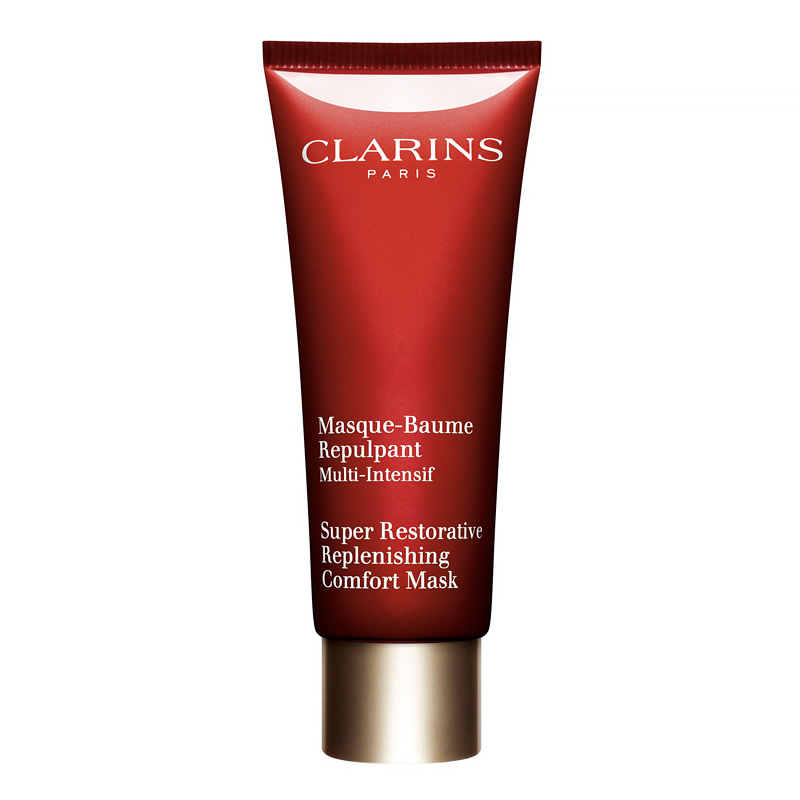 Clarins – Super Restorative Replenishing Comfort Mask. Comforting and soothing – this mask makes my skin feel completely renewed and is really easy to use. 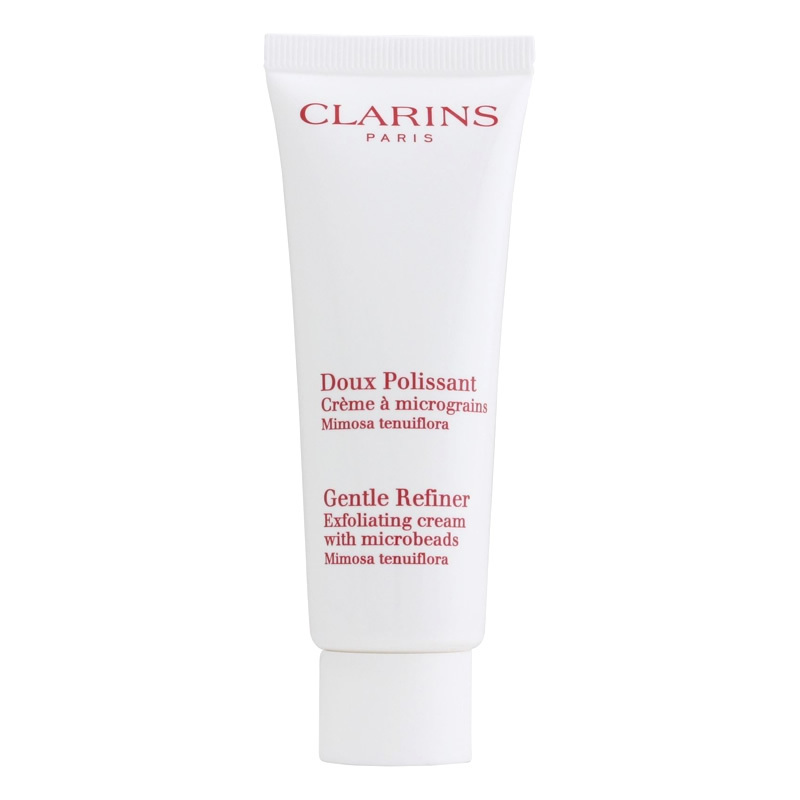 Clarins – Gentle Refiner – the granules in this product are small which means the exfoliation is not too aggressive. I have some small thread veins in my cheeks so am conscious not to aggravate this delicate area. I use this once a week to gently remove dead skin cells. 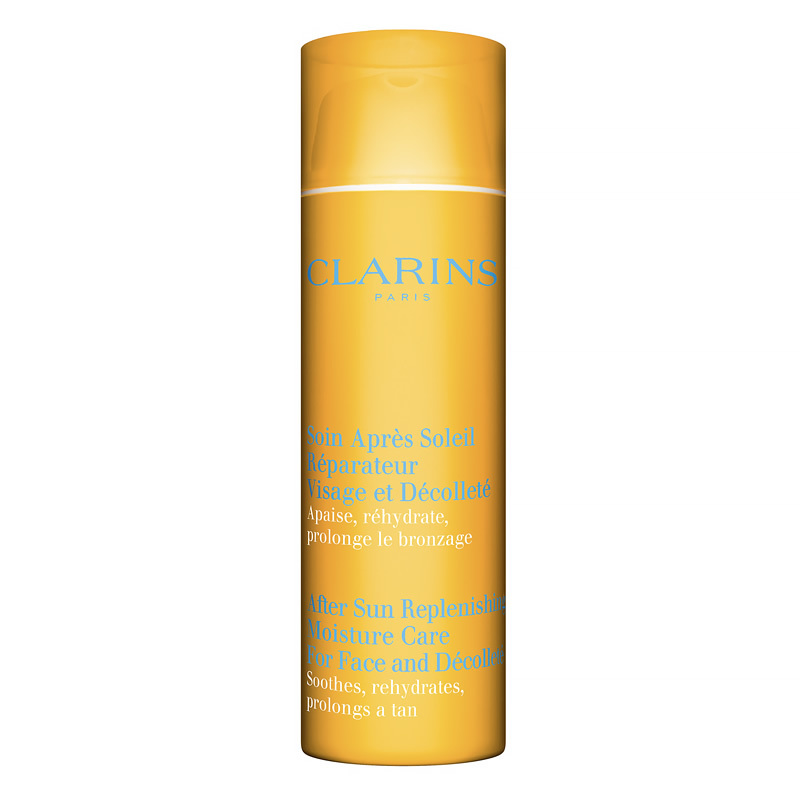 Clarins – After Sun Replenishing Moisture Care for Face & Decollete. 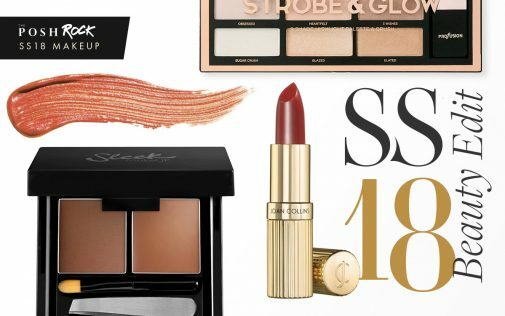 Soothes, rehydrates and prolongs my tan – one of my favourites! I always struggle to find a good eye make up remover so I will try Clarins and let you know. Thank you for the tip! I stuck to Clinique Dramatically Different for years but now I absolutely love Elemis Anti-Ageing! 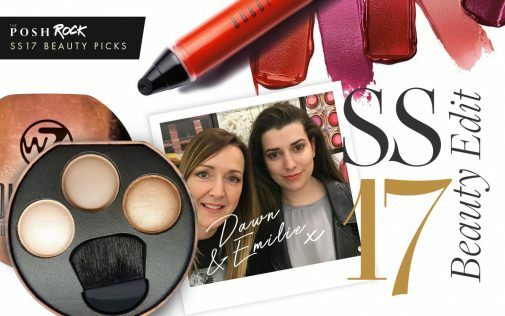 I have really sensitive skin so can’t normally use make up wipes, despite being desperate for a quick and easy way to take off the day’s make up! I’ve not tried the Johnsons ones before though – I’ll give those a whirl. You’ve hit the ball out the park! Inbeediclr! What’s up,I read your blog named “my top ten skincare products – The Posh Rock” like every week. Your humorous style is witty, keep it up! Wonderful site. Lots of helpful info here. I am sending it to a few buddies ans also sharing in delicious. And of course, thanks to your effort!